Today I am thrilled to welcome Dr. Timothy Sharp, better known as Dr. Happy! I was fortunate enough to be able to interview him on his thoughts regarding happiness and positive psychology. Below are his answers. Enjoy! First of all, can you tell us a little bit about your background? My background is in clinical psychology and specifically, in Cognitive Behaviour Therapy. I completed an undergraduate Bachelor of Science degree with Honours in Psychology, then a Clinical Masters Degree and then finally, a PhD. So I started off specialising in stress, depression and misery before I’d even heard about happiness! I worked in and thoroughly enjoyed my career as a therapist for many years but then when I discovered positive psychology (some time around 1999 or 2000), it was like a life changing epiphany; it was literally as though a light went on and I had to follow the light! So for the last 15 years I’ve dedicated my life and my work to promoting the principles of positive psychology. Can you describe positive psychology in a nutshell? The simple answer is that Positive Psychology is “the science of happiness”. But more accurately, it’s the science of thriving and flourishing because living our best lives involves more than just experiencing positive emotions such as happiness. Positive emotions are very important and valuable but to thrive and flourish, to be our very best, the positive psychology research also points to the importance of engaging fully with our strengths and with the world, building and fostering positive relationships, creating meaning and purpose in all we do, and setting and working towards meaningful goals for us and those around us. In addition, it’s important to take care of our physical health by eating well, exercising and ensuring adequate sleep and rest. What originally got you interested in happiness as a subject? Like most people it was always something I was interested in but as a clinical psychologist it just wasn’t, unfortunately, something we focused much on. Thankfully, positive psychology came along and set out to redress the imbalance. In some ways what Positive Psychology was saying is that for too long we’ve focused on what’s wrong with people and with life but what if we were to focus on what’s right? Accordingly, I began to focus much more on strengths and successes and happiness and gratitude rather than just faults and weaknesses and distress and problems. Are there certain habits that you think are essential for maintaining happiness? For sure. At The Happiness Institute we advocate that happiness is something you choose; check out our core model here. Consistent with this there’s much research to support the following happiness boosting behaviours. You can find those here. Can you tell us about The Happiness Institute that you founded and what goes on there? 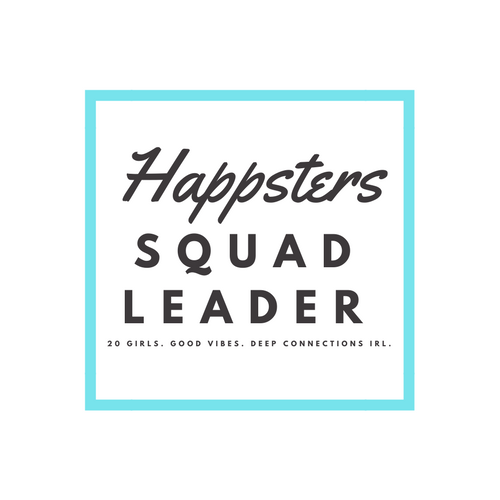 The Happiness Institute is a positive psychology practice; that is, we deliver a range of services and produce a range of products all designed to enhance happiness and wellbeing in individuals, couples, families, organisations/businesses/teams and even schools. We do this via, for example, coaching, small group programs, workshops and seminars (as well as by giving away and selling self-help products based on empirically proven methods). If you had to give one piece of advice for living a happy life, what would it be? I’m always reluctant to say that there’s “one” answer; because there’s not. And even if there were one answer for me it would be different for you and every other person out there. Instead, I recommend people CHOOSE to be happy and then develop their own unique “recipe” that works for them. That being said, I very much encourage people to remember that happiness isn’t just feeling good, it’s also doing good so don’t ever forget that other people matter! What is your favorite quote about happiness? 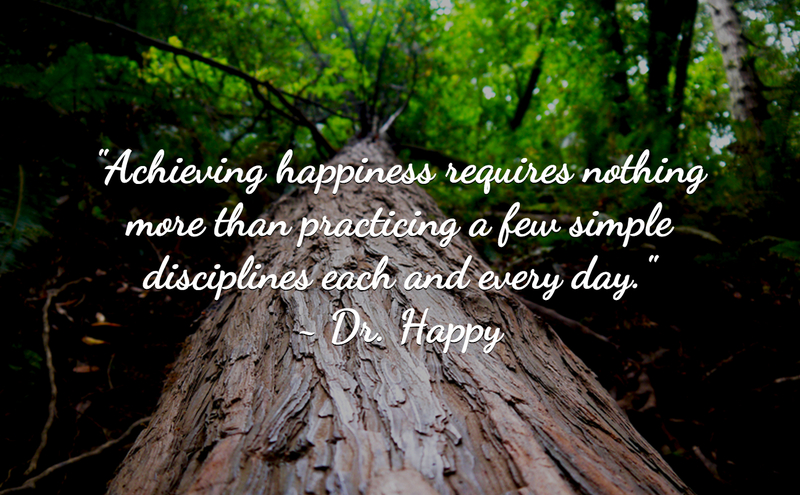 Achieving happiness requires nothing more than practising a few simple disciplines each and every day. A huge thank you to Dr. Happy for the interview! You can find out more on Dr. Happy here and learn more about the Happiness Institute here. Question of the day: Have you ever heard of positive psychology? What do you think about it?